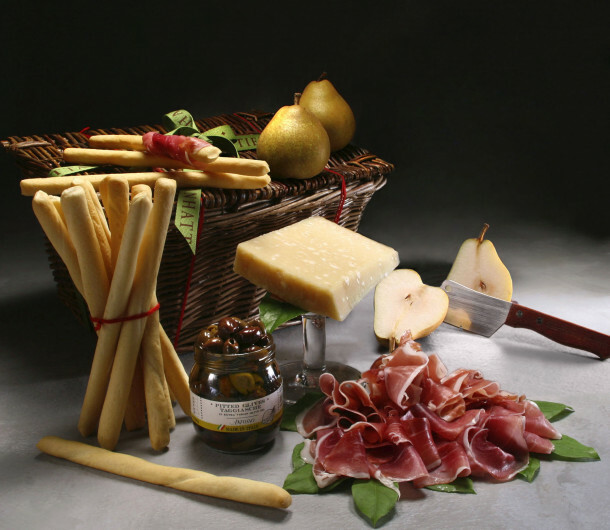 This handsome basket features prosciutto from acclaimed La Quercia in Iowa. Vogue Food Critic and author Jeffrey Steingarten wrote that it is "the best American or imported prosciutto [he's] ever tasted." This air-cured prosciutto has the texture of silk and the perfect balance of sweetness to saltiness (4 ounces). 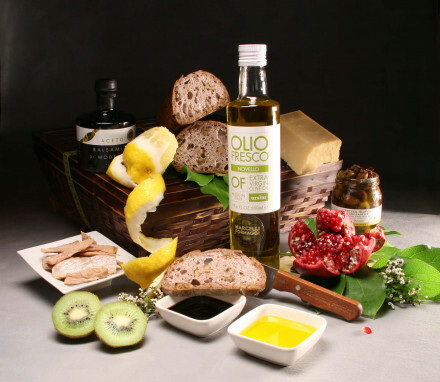 La Quercia's prosciutto is now made with Non-GMO Verified, GAP Step 3 pork.The perfect pairing is complete with a wedge of prized Parmigiano-Reggiano made by the Serra Family in the Po Valley near Parma Italy. This particular Parmigiano is made from the milk of Bruna Alpina cows that produce small quantities of milk with a high concentration of butterfat and protein. It is aged for at least 24 months. 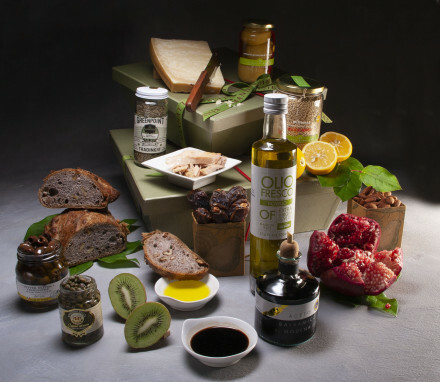 Other traditional accompaniments include seasonal fruit (such as melon, figs or pears), Tunisian black olives in organic herbs and brine, and either Italian breadsticks or gluten free crackers, depending on the gift you choose.